The answer to the question, "What is presbyopia?" lies in the flexibility of your eyes. Glasses and contact lenses aren’t the only options for treating presbyopia. Ironically, many of us probably pulled out our reading glasses in order to find the answer to “What is presbyopia?” Presbyopia is the most common vision problem in people 40 and older. It is the inability to focus up close, such as when you are reading, looking at a computer screen, or doing detailed work like knitting or jigsaw puzzles. With aging, the eye’s natural lens gradually loses flexibility and is less able to change shape to focus on up-close objects. Images focus behind, not on, the retina, causing blurry vision. 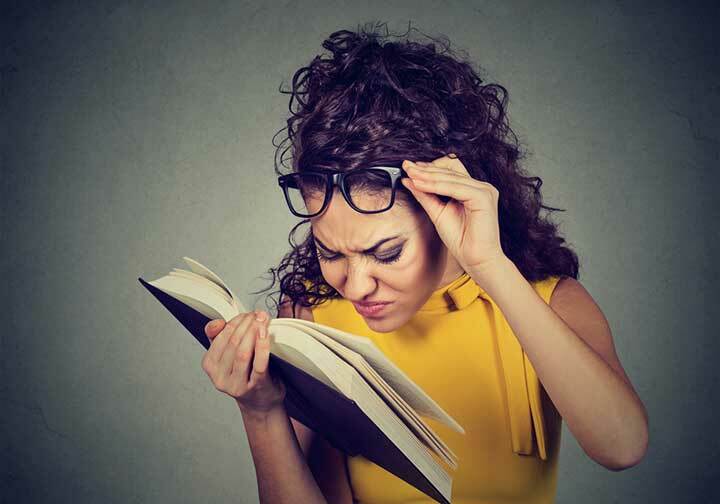 The first signs of presbyopia may be difficulty reading at your normal distance, and finding yourself holding books and magazines farther away. 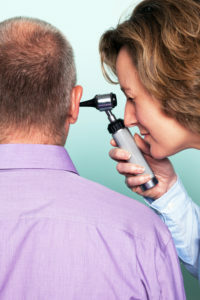 You may experience headaches or eyestrain when reading or doing close work. It’s possible to have other types of problems with vision—nearsightedness, farsightedness, and astigmatism—at the same time as presbyopia. These three types of “refractive errors” are caused by distortions in the eye’s shape. Half glasses: These glasses can be purchased inexpensively over the counter. They cover only the bottom half of your eyes, so that you can look out over them into the distance. Bifocals: These glasses correct both distance vision and reading vision. The glasses have two zones, which may or may not have a visible line across the middle of the lens that divides it into correction for distance through the upper lens and for close-up vision through the lower portion. Bifocal contact lenses are also available. Trifocals: These lenses have three zones—one to correct for distance vision, one for middle-distance vision (such as looking at your computer screen), and one for close-up vision. Progressive Lenses: Progressive reading glasses are similar to bifocals or trifocals, but they don’t have sharp boundaries between the zones. Instead, the lens correction varies gradually (progressively) when you look through different parts of the lens, set for distance vision at the top, intermediate vision (for example, to see objects at arm’s length) in the middle, and for reading at the bottom. Some people can accommodate to progressives but others don’t like them. Monovision correction: In this type of correction, you wear a contact lens for distance vision in one eye and a different contact lens for near vision in the other. Although it takes some getting used to, monovision can restore nearly perfect vision. Some people love monovision, while others hate it. An implanted multifocal lens: This lens can function like a younger eye, adjusting focus for near and far objects to provide clear vision at all distances. During surgery, the natural lens of the eye is removed and then replaced with the artificial lens. Multifocal lenses can reduce and even eliminate the need for contacts or glasses. Some people may have difficulty with glare and image resolution with these lenses. LASIK or PRK : These procedures, laser-assisted in situ keratomileusis (LASIK) or photorefractive keratectomy (PRK), reshape the cornea so that the eye provides better near vision for reading and other close tasks, although this usually means you will require eyeglasses for distance vision. It has become a very common surgical technique, and most patients say they are satisfied with the results of their LASIK surgery. aging, astigmatism, contact lenses, headaches, presbyopia, retina, what is presbyopia.